Bill O'Brien and Harry Norville formed Breville in Australia, but the company has expanded from its original radio and mine detector roots to become a global presence in the home small appliance market. 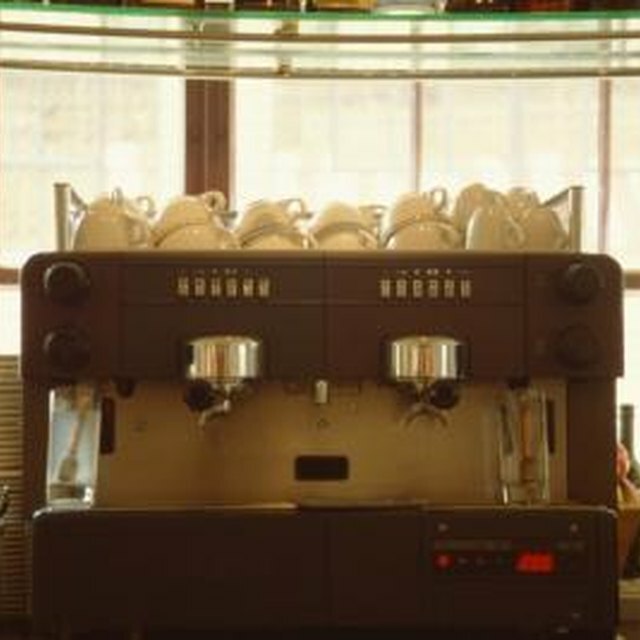 Breville offers several models of espresso machines for the home consumer. With all the moving, mechanical parts involved in brewing espresso, it's possible for the machines to break down from time to time. Many simple problems with the machine can be fixed using basic troubleshooting techniques. Inspect the machine to make sure that the power cord is plugged in, the power switch is on and the filter basket is inserted into the front of the machine. Power down the machine if it is on. Release any excess pressure by using the steaming attachment in a cup of water. Allow the machine to sit for 10 minutes before unplugging it and continuing. Open the lid to the water tank and check that you added water to the reservoir. Add water, if necessary, then secure the lid back in place. Remove the filter basket and discard the grounds. Clean the filter basket and holder of any clogs. Wipe away any grounds on the rim of the basket. Check whether the grounds are either overly fine or overly coarse. Overly fine grounds prevent steam from passing through the grounds, while overly coarse grounds create weak espresso. Use a medium-fine ground coffee for trouble-free espresso. Tamp the grounds to the the level specified by the instruction manual -- both over-tamping and under-tamping the grounds could affect the brew. Measure out the correct amount of coffee grounds for the amount of espresso being created. Replace all the components of the machine and start the espresso-making process from scratch. Allow the water time to preheat prior to extracting the espresso. Make sure you set the selector switch to "Espresso".